As a junk removal and home decluttering company, you can trust us when we say we’ve seen just about every level of hoarding imaginable. There are light cases where people get stressed out about an overpacked closet, and severe instances where a hoarding habit becomes a dangerous and significant danger to one’s quality of life. But no matter where you are on the spectrum, there’s one truth that’s universal among most people — it’s easy to get attached to your stuff. Naturally, the reluctance to get rid of things we’re attached to is the fundamental factor that necessitates junk removal in the first place. Old items and possessions pile on top of each other, slowly and surely becoming a bigger problem. While we will gladly provide our junk removal services to anyone who finds themselves in this position, the best option is to avoid the crisis altogether. By understanding the reasons why you become attached to your possessions, it may be easier to let them go! This is probably the most common justification for keeping old junk lying around. That ever-so-slight possibility that, someday, you’ll dig up the old snowshoes that you got a garage sale seven years ago (and still haven’t used). In pretty much every house we’ve ever visited (including our own) there’s a natural tendency for items to be kept in storage because they could ostensibly be used in the future. In reality, if an item hasn’t been used in multiple years, the odds are low that you’ll end up retrieving it out of its dark storage anytime soon. Ask yourself — is it more worth it to pay the marginal price for said item in the future if you actually end up needing it, or to keep it in storage for several more years, taking up space with all its other unused kin? It’s all too common to form a “bond” with a possession, and sometimes the attachments we form to our things prevents us from getting rid of them, even if they’ve reached a point where they’re just taking up space. This is one of the hardest habits to break if you have aspirations to tidy up. For some people, it’s extremely easy to form bonds to their items, while it might be an occurrence that almost never happens to the next person. It just comes down to the way you were wired, and if you have a natural tendency to form sentimental attachments to physical things, it takes discipline to break out of it. One show that’s been sweeping the nation is Netflix’s new show Tidying Up, in which Marie Kondo, a world-renowned professional organizer, helps people to let go of their junk. She has a method that’s great for people who form attachments — go through your stuff, and ask yourself if it “sparks joy.” If it doesn’t, give it a verbal “thank you” for the value it added to your life before putting it in the discard pile. It’s natural to be attached to items that enriched our lives at some point, but it’s okay to say goodbye to them too! It can also be hard to get rid of something when you know it’s unique. If the item in question is the only one that exists on Earth, or part of a limited supply, it can be hard throwing it out, even if you’re realistically never going to touch it. Unfortunately, being one-of-a-kind doesn’t always mean that something is worth keeping around. Sure, it’s cool that you have a signed headshot of Val Kilmer that you found at a thrift store ten years ago, but are you actually displaying that anywhere in your home? Are you ever going to touch it, aside from the once a decade where you pull it out and brag that you have a signed Val Kilmer photo? The bottom line is that even unique items are meaningless if they don’t provide value to your life. It can be hard letting go, but it’s often necessary. If you truly don’t want to see the item destroyed, consider giving it to someone who may get more use out of it than you do! While most of this list has addressed things that are tough to consciously let go of, there are also the gizmos and baubles in your life that you’re keeping around just because it’s annoying going through the process of getting rid of them. In fact, that decision may have been the easiest part — but now they’re taking up space because disposing of them properly takes work that you don’t have time for. This is usually true for items that you don’t want to throw away. It may feel like a tremendous waste throwing a dumpster’s worth of clothes into the garbage. They would be much better off at a thrift store, right? Unfortunately, an untold of time could pass before you actually get around to going on that thrift store trip, leaving the clothes to just take up space. Selling your junk is also an exercise in frustration. You have to find buyers, take photos, and market them, often receiving a payoff that’s not even proportional to the time it took to list the items. If you’re in this boat, we adamantly recommend junk removal services. When you call professionals for your decluttering needs, we’ll take care of the disposal for you. And that doesn’t mean just trashing everything — we take care to make sure that junk is disposed of through the right channels, such as being donated. 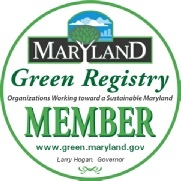 Are in you in Baltimore, or any of the surrounding regions, such as Hanover, Silver Spring, Towson, or Laurel? We’d be happy to provide junk removal services for you! If you’ve been holding on to your thingamajigs and doohickeys for too long, sometimes the easiest solution is to just call a team of professionals who can help you tidy up and leave your home feeling brand new. 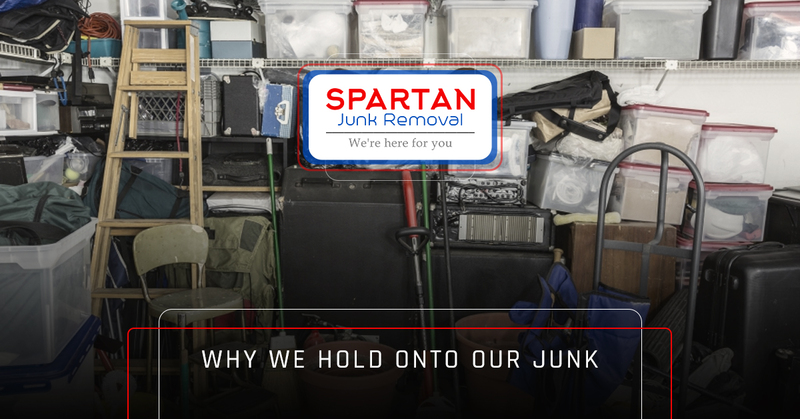 Spartan Junk Removal is the decluttering company to call in Maryland. If you want to experience the wonderful benefits of being junk free, contact us today!